SOLD. “Figure Study (framed)” 36 inch x 24 inch acrylic and oil pastel artwork on canvas, framed in gray and gold wooden frame. $800. Sold. 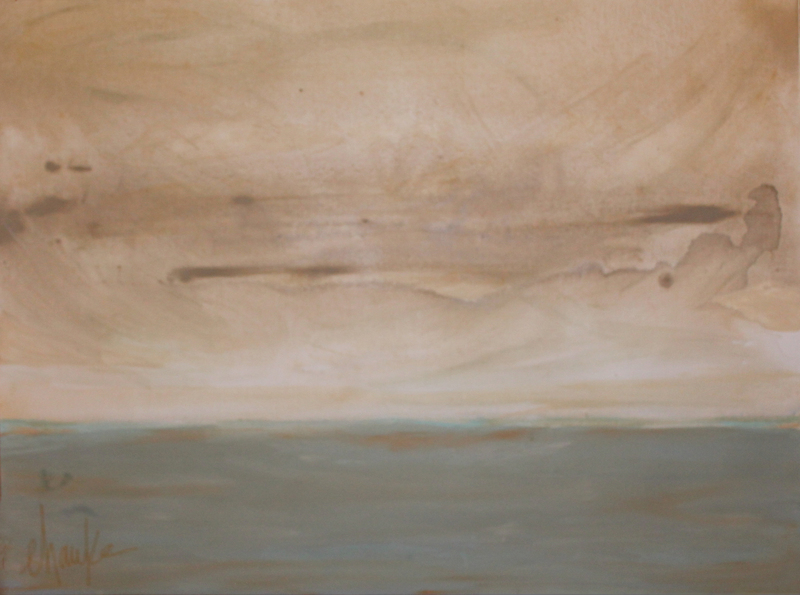 “Hazy Horizon” 36 inch x 24 inch acrylic artwork on deep depth gallery wrapped canvas (1.5 inches deep). Edges are coated in liquid silver leaf. $500. “Little Lady A” 10 inch x 8 inch acrylic and watercolor artwork on water color paper, matted and framed. Finished dimensions are 22 inches x 18 inches. $350 (or $600 when purchased with “Little Lady B”). “Little Lady B” 10 inch x 8 inch acrylic and watercolor artwork on water color paper, matted and framed. Finished dimensions are 22 inches x 18 inches. $350 (or $600 when purchased with “Little Lady A”). Sold. “Shape Study III” 36 inch x 36 inch acrylic and oil pastel painting on deep depth gallery wrapped canvas (1.5 inches deep). Edges are coated in liquid gold leaf. $600. SOLD. “Shape Study (framed)” 36 inch x 24 inch acrylic and pastel artwork professionally framed in gray wooden frame with gold accenting. (with frame, dimensions are 41 inches x 30 inches). Sold in frame and wired for hanging . $800. 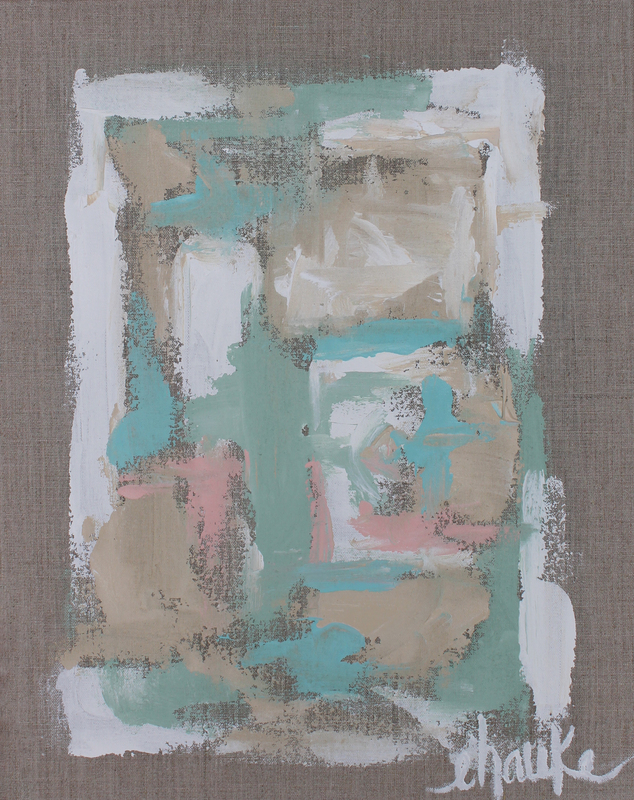 “Puzzle Pieces” Set of (4) neutral hued 14 inch x 11 inch artworks on standard depth canvas (.5 inches deep). Edges are coated in liquid silver leaf. $100 each. SOLD. “The Splash”. 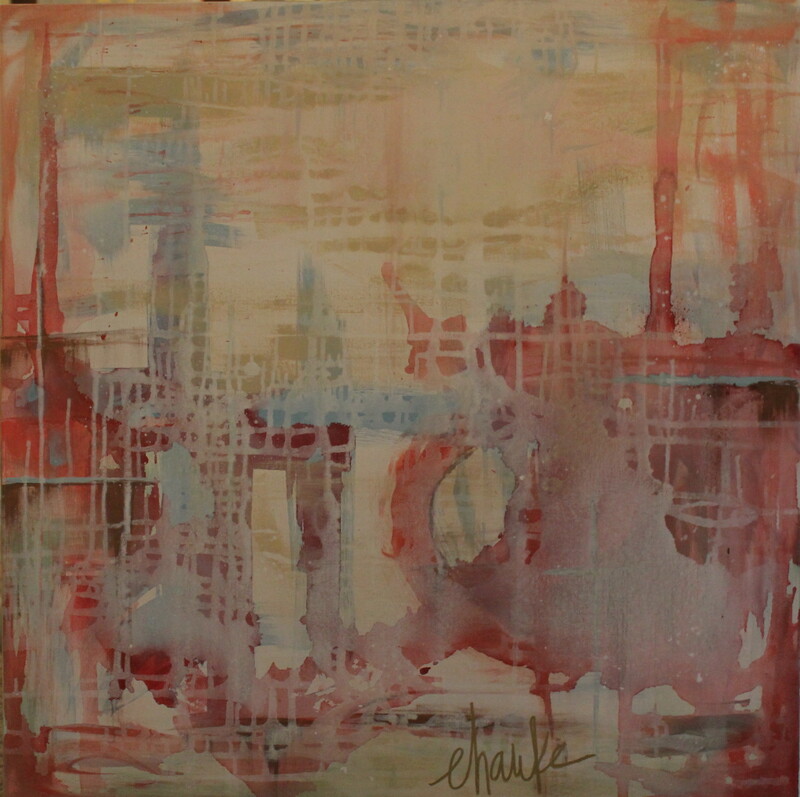 36 inch x 36 inch acrylic and pastel artwork on deep depth (1.5 inch) canvas. Edges are coated in gold leaf for a finished look without framing. $600. SOLD. “Birds of a Feather”. 36 inch x 36 inch acrylic artwork on deep depth (1.5 inch) canvas. Edges are coated in gold leaf for a finished look without framing. $600. SOLD. “Fault Line”. Acrylic, Gold Leaf, and Silver Leaf on Gallery Wrapped Canvas UV Protective Coating. 40” x 30”. $585. SOLD. “Winter’s Forest”. 24″ x 20″ textured acrylic artwork. Deep depth edges (1.5″) are coated in liquid gold leaf. $375. SOLD. “Taken By Storm” 36 inch x 24 inch acrylic artwork on deep depth (1.5 inch) canvas. 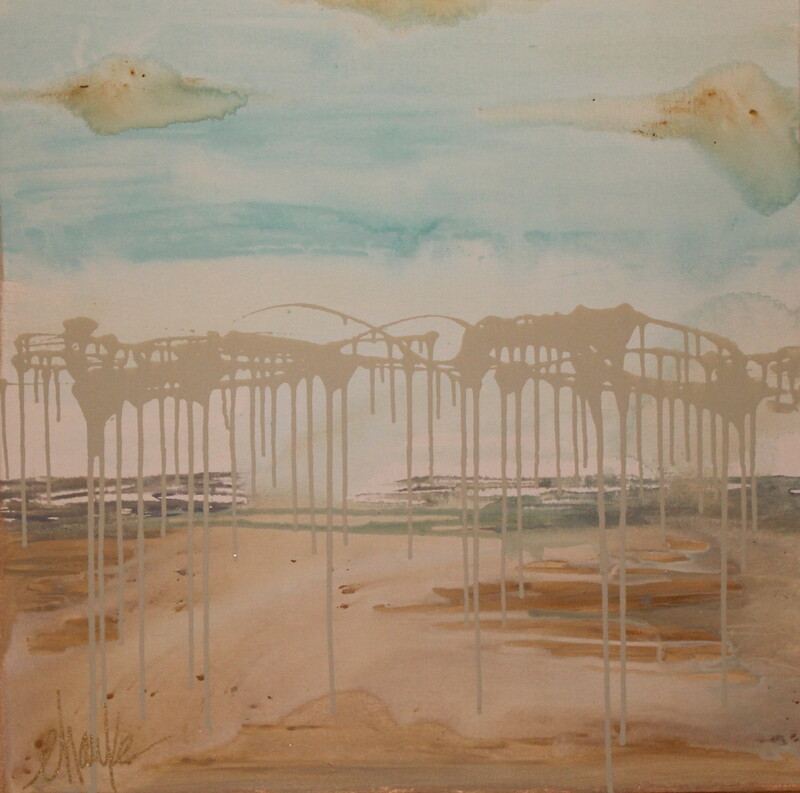 Edges are coated in gold leaf, that wraps to the front, for a finished look without framing. $450. SOLD. 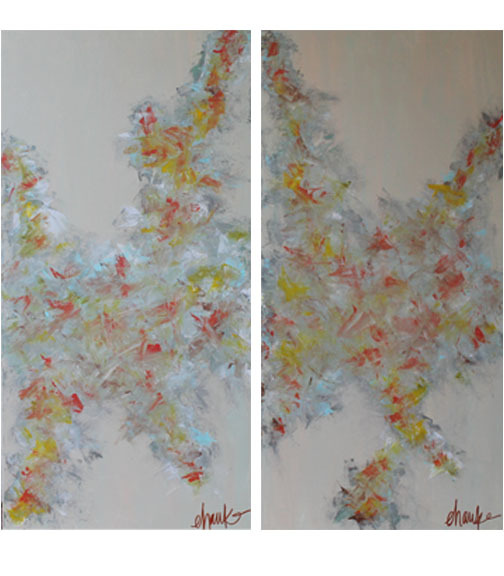 “Taken By Storm II Pair” 24 inch x 12 inch acrylic artwork on standard depth (.5 inch) canvas. 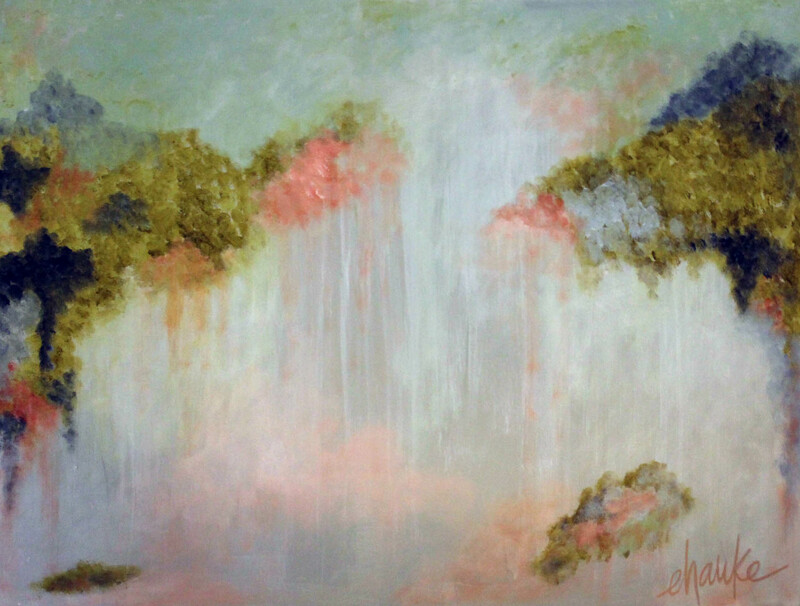 “Tranquility II”. 36 inch x 24 inch acrylic and pastel artwork on standard depth canvas. Edges are coated in gold leaf for a finished look without framing. Also primed for cost effective framing with low profile canvas depth. $485. “Water Color A & B” Framed and matted, these 22 inch x 18 inch water color and acrylic pieces add tranquility with soft hues and structure. Only one remaining. $225. UV Protective Coating. 36” x 36”. SOLD.“The Block A” 30″x 34″ acrylic on gallery wrapped canvas. Edges are coated in gold leaf. UV protective coating. $475. “The Block B” 30″x 34″ acrylic on gallery wrapped canvas. Edges are coated in gold leaf. UV protective coating. $475. SOLD. “Flight Lines” . 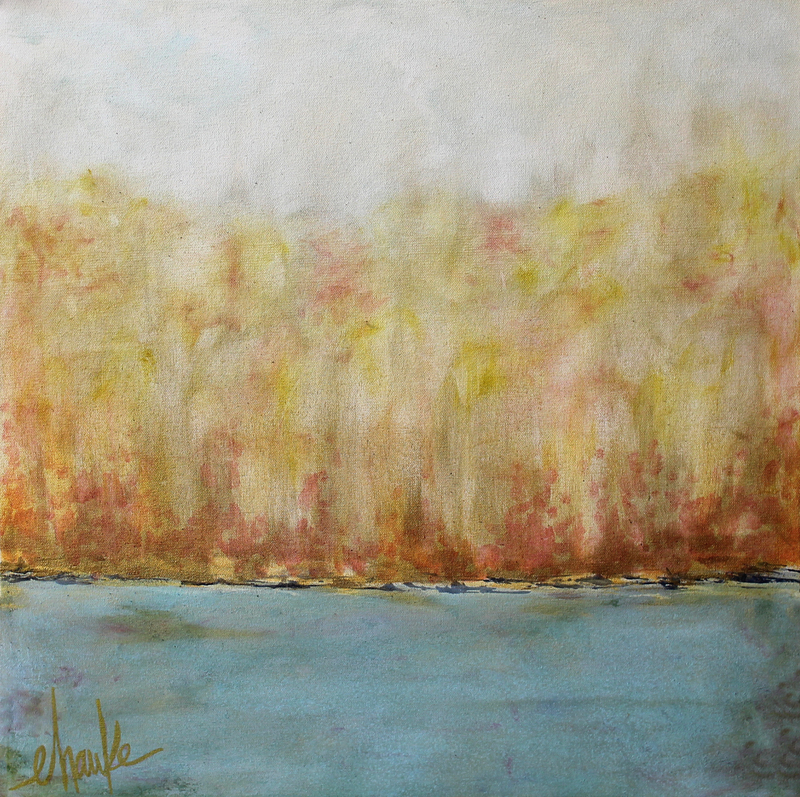 24″ x 24″ Acrylic and on Gallery Wrapped Canvas, UV Protective Coating. Sides Coated in Liquid Gold Leaf. SOLD. “Peony Study”. Acrylic and on Gallery Wrapped Canvas. Blue Bloods I. 24 inches (h) x 24 inches x 0.5 inches (d). 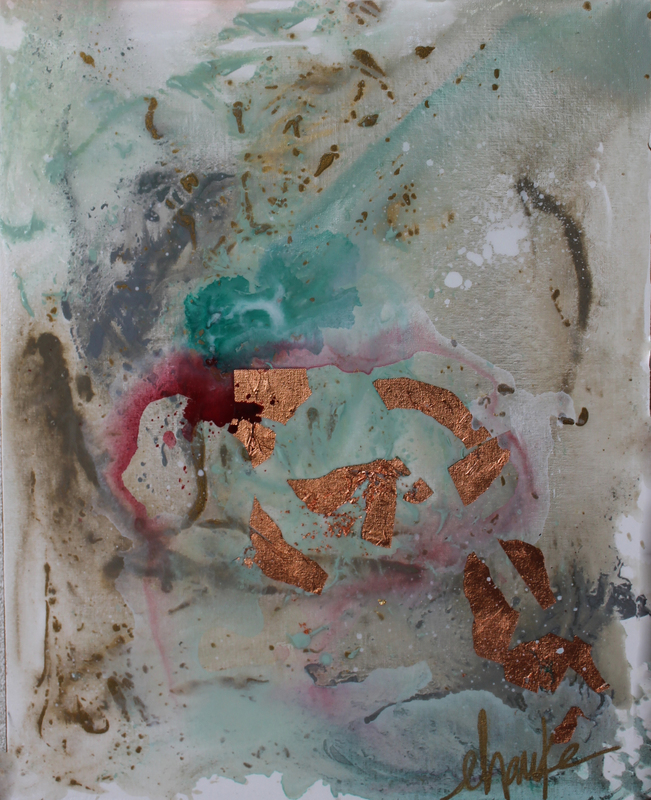 Oil, Acrylic, Silver Leaf and Gold Leaf Abstract. Edges of this Canvas are coated in Gold Leaf. $325. Blue Bloods I. 24 inches (h) x 24 inches x 0.5 inches (d). Oil, Acrylic, Silver Leaf and Gold Leaf Abstract. Edges of this Canvas are coated in Gold Leaf. $400. SOLD. 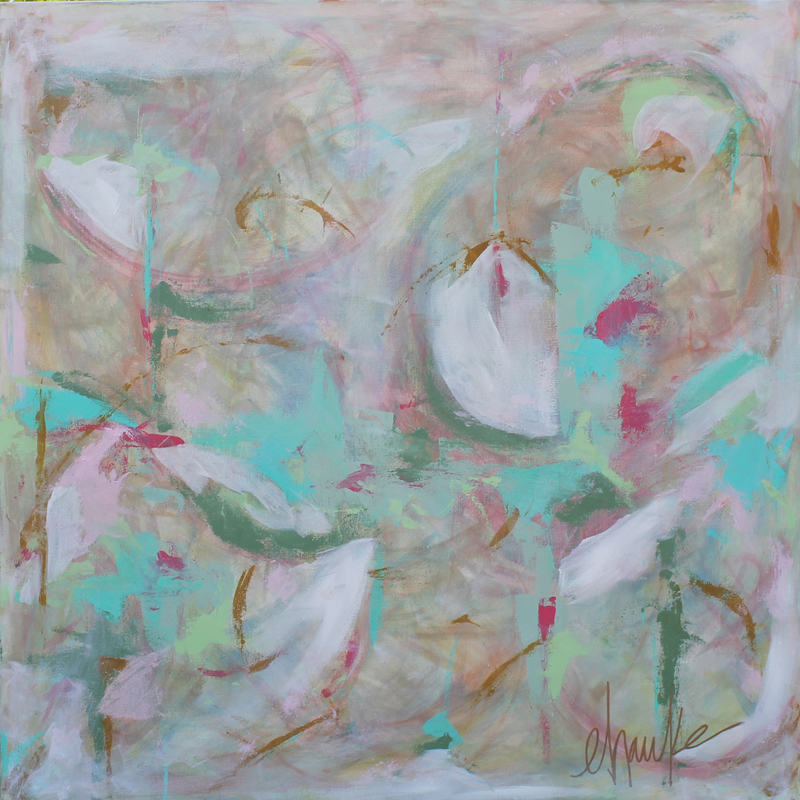 “Whispers Revisited” 36″ x36″ acrylic and brass leaf artwork on deep depth gallery wrapped canvas. $600. SOLD. 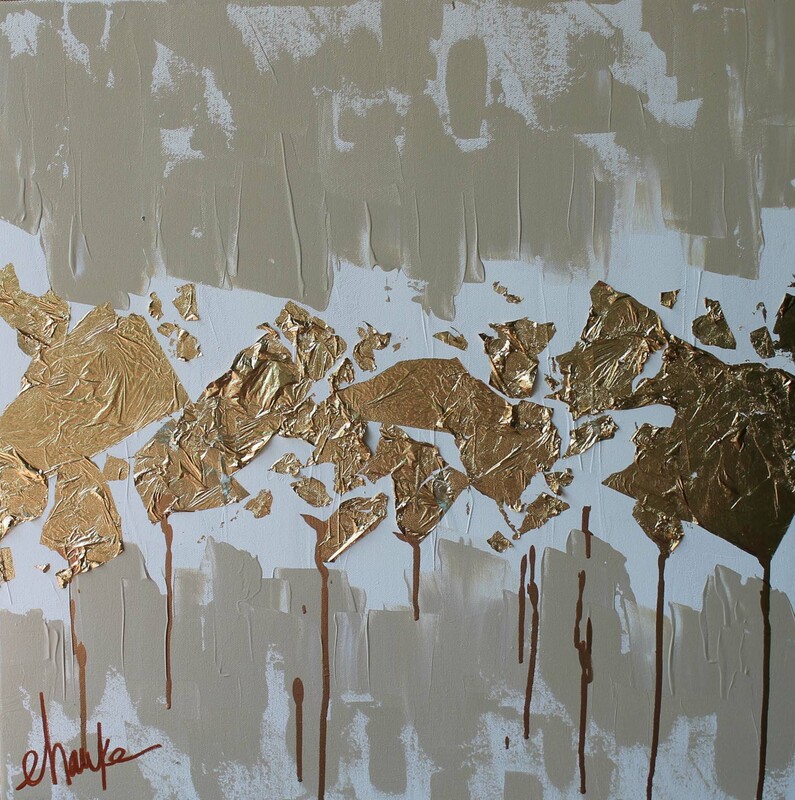 “Bits and Pieces” 36″x 48″ inch acrylic, gold and silver leaf artwork on gallery wrapped canvas. 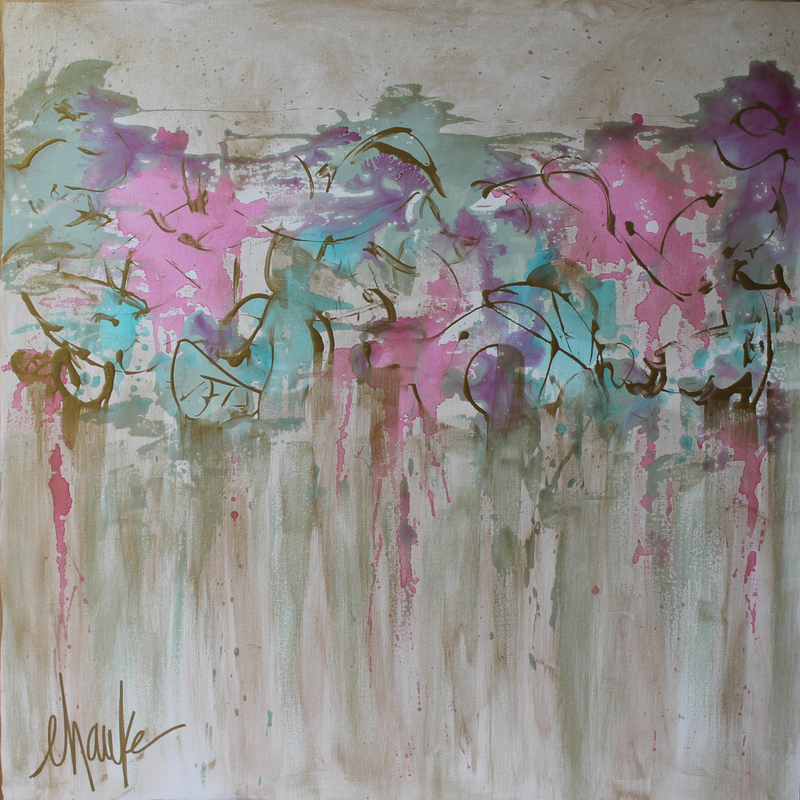 SOLD.”English Ivy” … Ready to hang and add a splash of color to your wall! 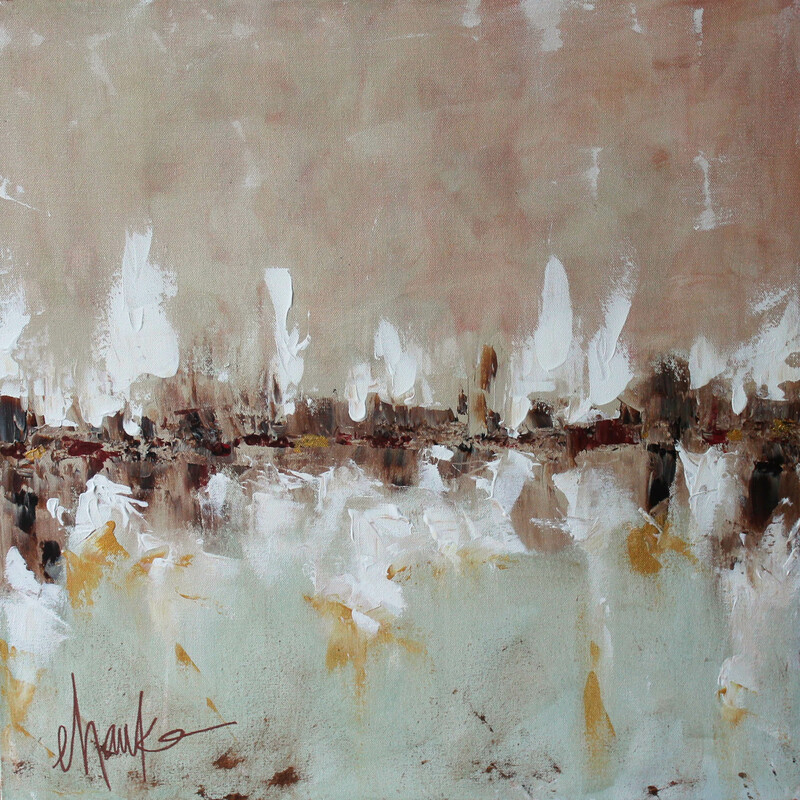 This 36 inch x 24 inch acrylic artwork is framed in a wooden, gray and gold frame. $900. SOLD. “Blue in the Face” 36″ x 36″ acrylic artwork on gallery wrapped canvas. Edges are coated in gold leaf and the artwork is protected with a matte UV spray. $600. SOLD. “Alabama Marble I”. Acrylic and Gold Leaf on standard depth canvas. 24″x18″ $300. SOLD. “Alabama Marble II”. Acrylic and Gold Leaf on standard depth canvas. 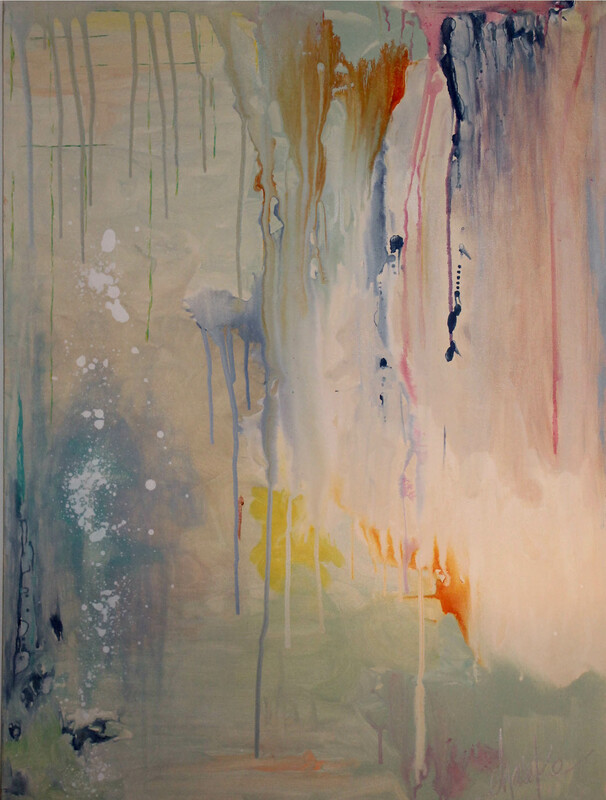 24″x18″. 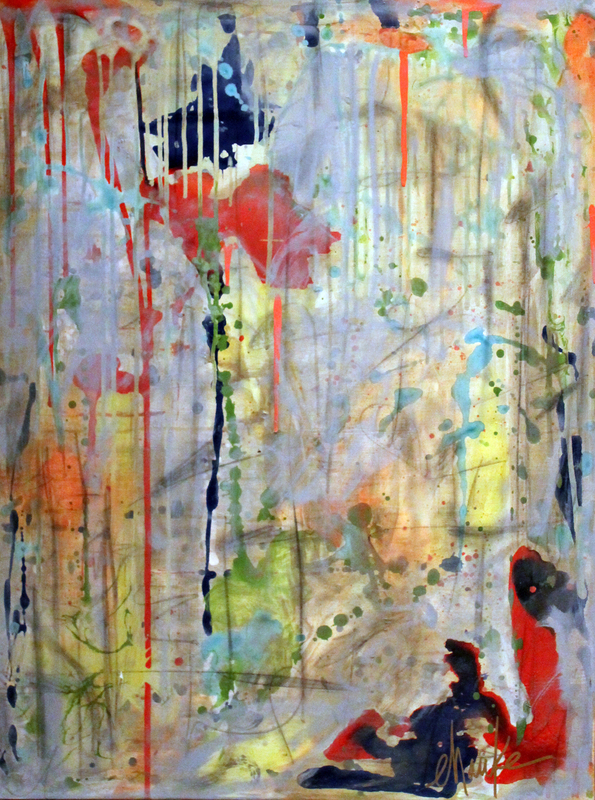 SOLD.”Color Me Happy” 36″x 24″ acrylic on standard depth canvas. Edges are coated in gold leaf. UV protective coating. $500. SOLD. “Woodlands I and II” 24 inch x 12 inch acrylic and gold leaf artworks on canvas. SOLD. 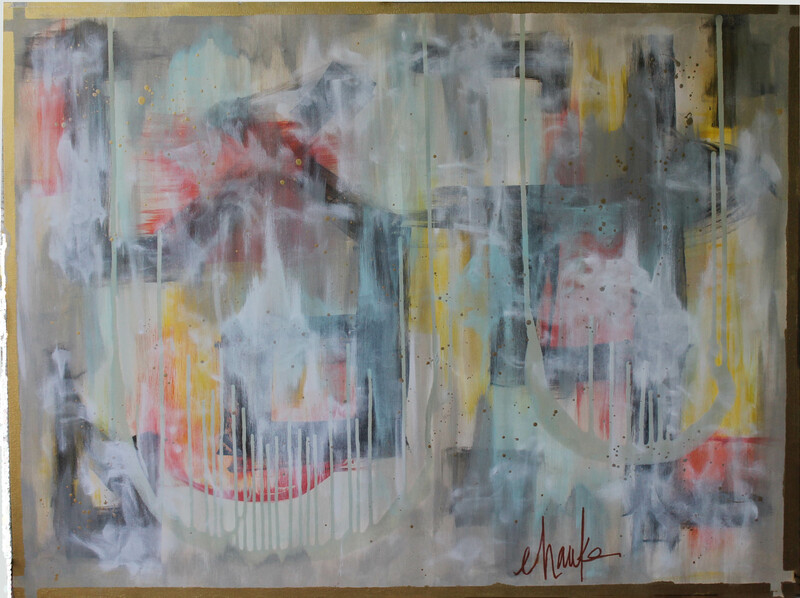 “Color Blocked” 30″x 40″ acrylic, gold leaf, silver leaf, and copper leaf artwork on gallery wrapped canvas. Edges are coated in gold leaf. UV protective coating. $525. SOLD. 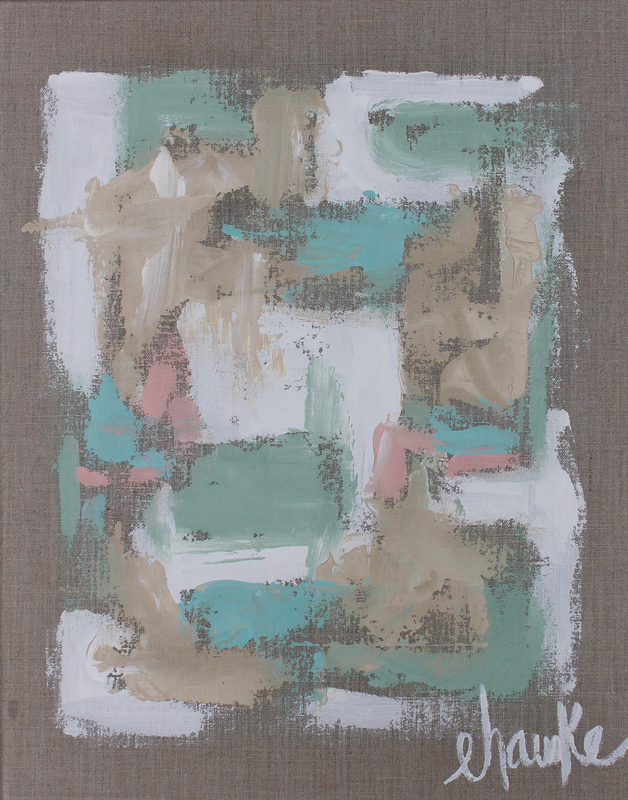 “Petting Zoo A” 24″x 18″ acrylic linen canvas. Edges are are detailed with nailhead trim. $375. SOLD. “Petting Zoo B” 24″x 18″ acrylic linen canvas. Edges are are detailed with nailhead trim. $375. SOLD. “Paris in Spring”. 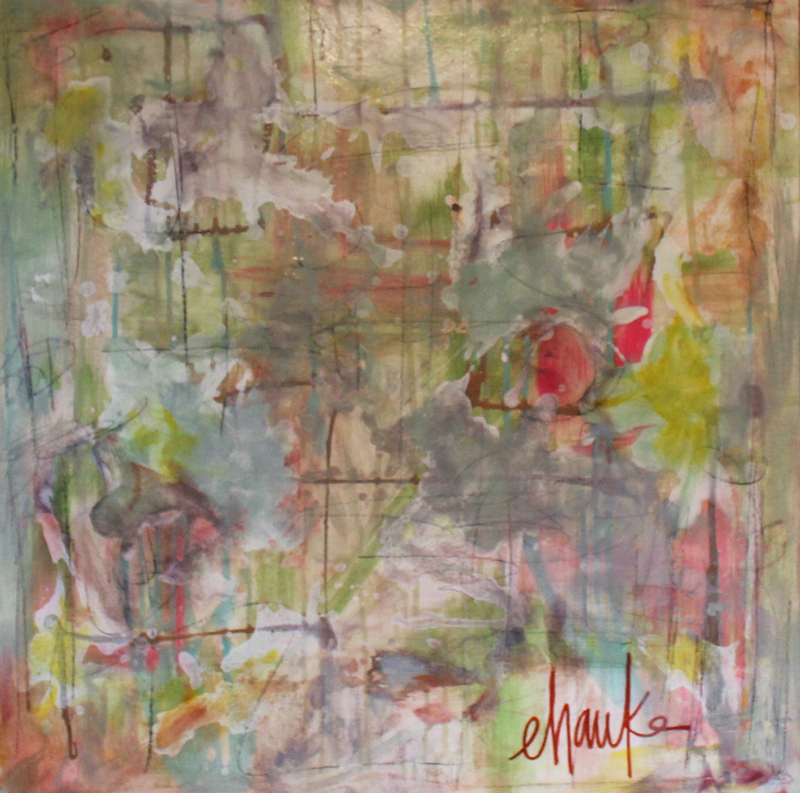 Mix of neutrals and pops of color make this 36″x36″ a happy and versatile piece for any space. 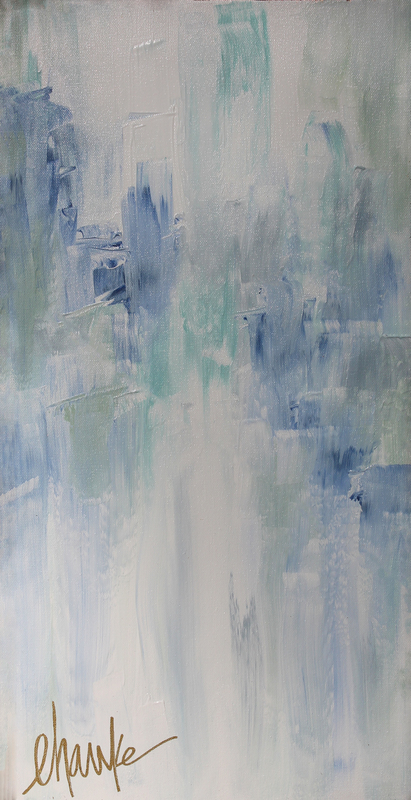 Painting created on a depth depth, gallery wrapped canvas. Created with a mix of warm and cool acrylics and finished with a UV coating. Edges are coated Silver Leaf. $600. SOLD. “Worldly View Revisited A”. 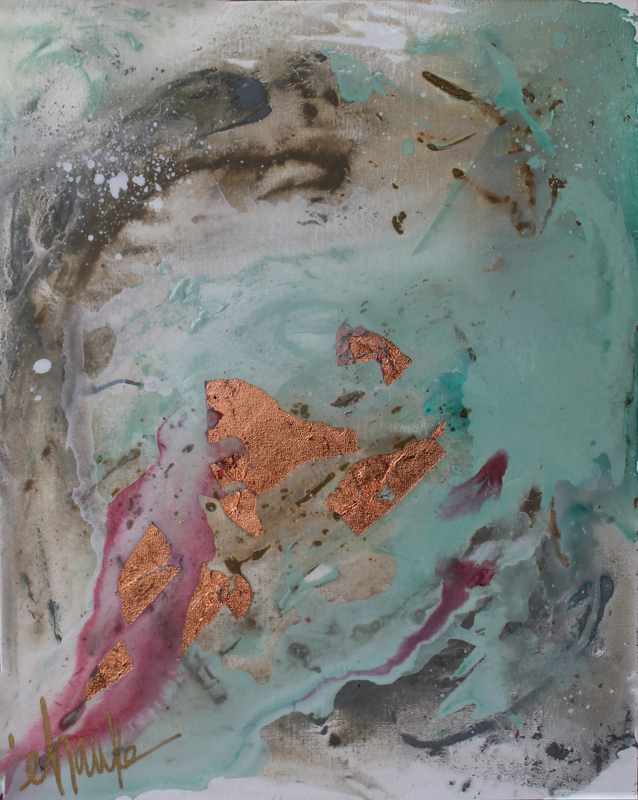 Acrylic and Copper Leaf on Gallery Wrapped Canvas. High Gloss Resin Coating. 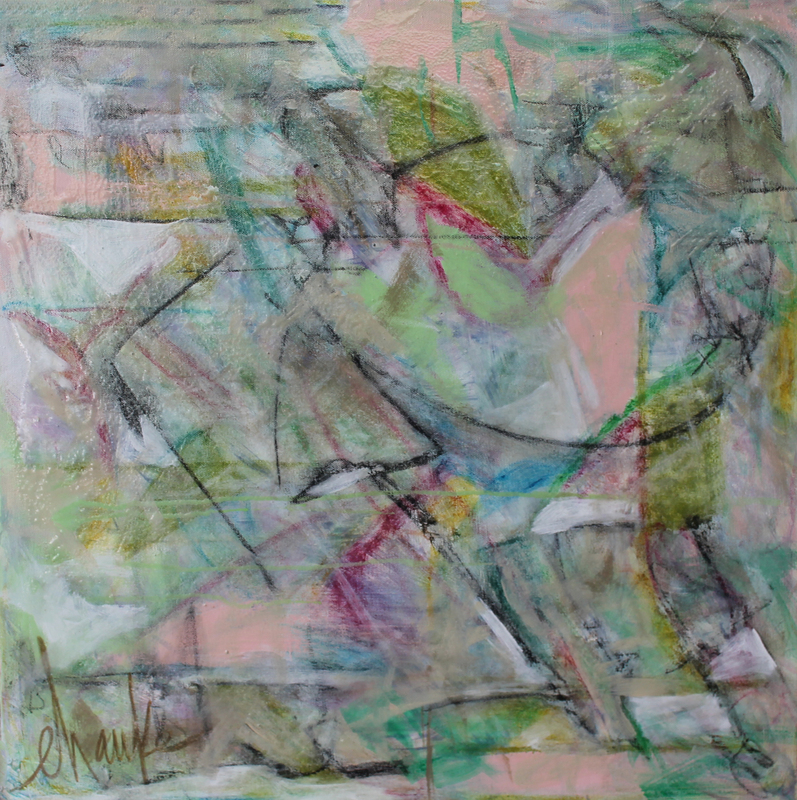 30” x 324”. SOLD. “French Blues”. Acrylic and UV Protective Coating on Gallery Wrapped Canvas. 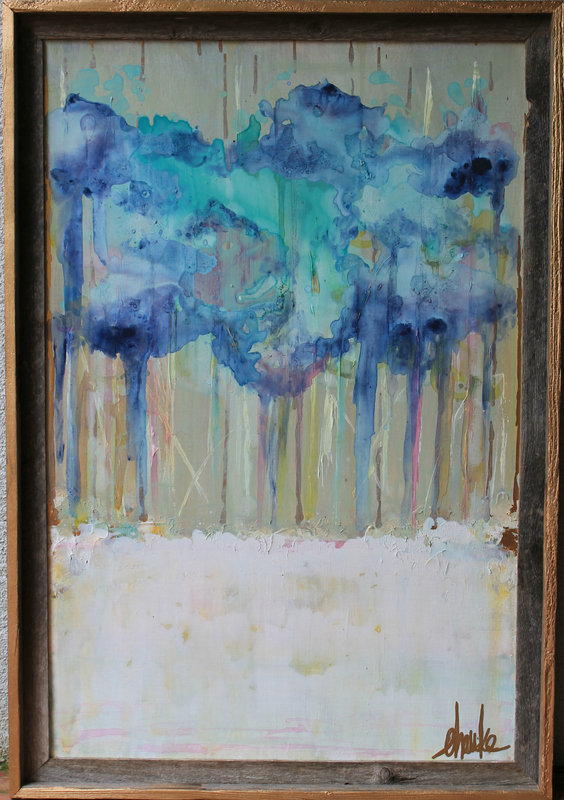 24″ x 12″. $175. SOLD. 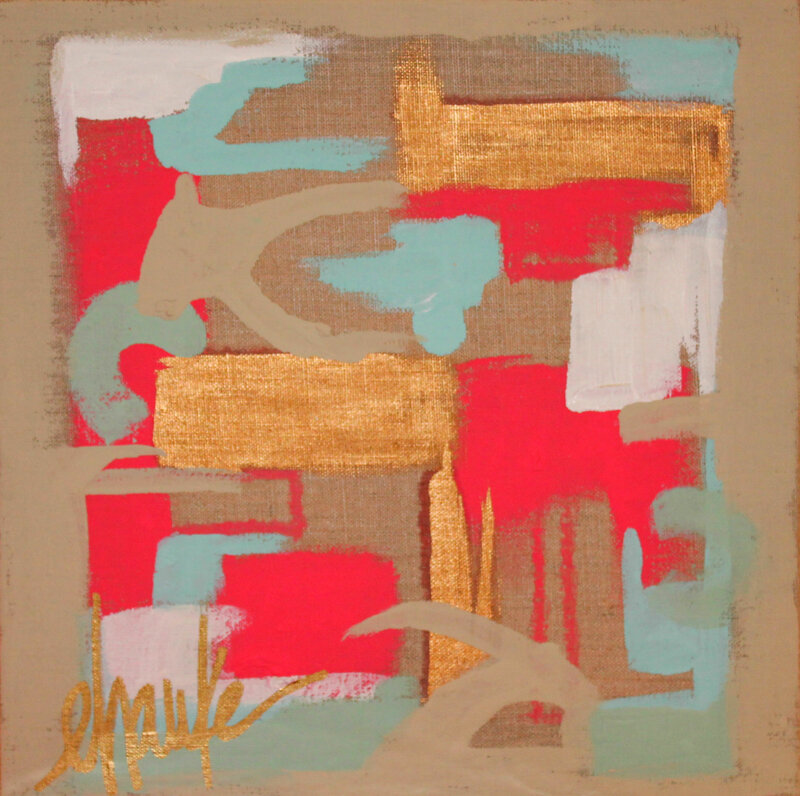 “Gold Scales” 8″x8″ Acrylic, Gold Leaf and Pastels on Gallery Wrapped Canvas. UV Protective Coating. $65. SOLD. “Peace at Bay”. 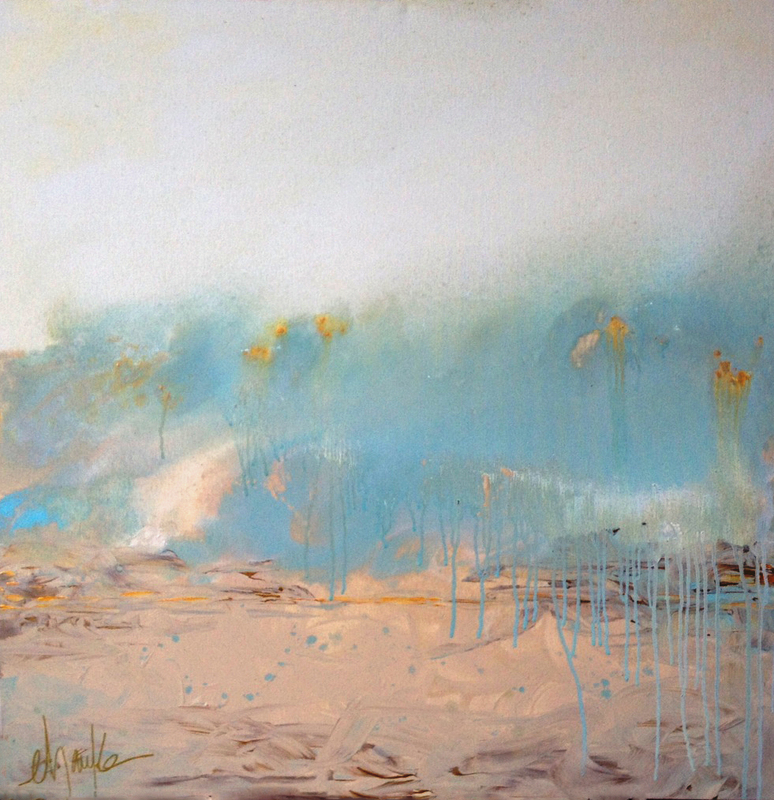 With a soothing palate of blues, creams and golds, this piece reveals an aura of serenity. SOLD. “Arbor Faded”. Inspired by the sights and scents of a remarkable vacation spent in West Virginia, Arbor Faded is an illustration of the incredible beauty captured in the sweet memories of life, when least expected. 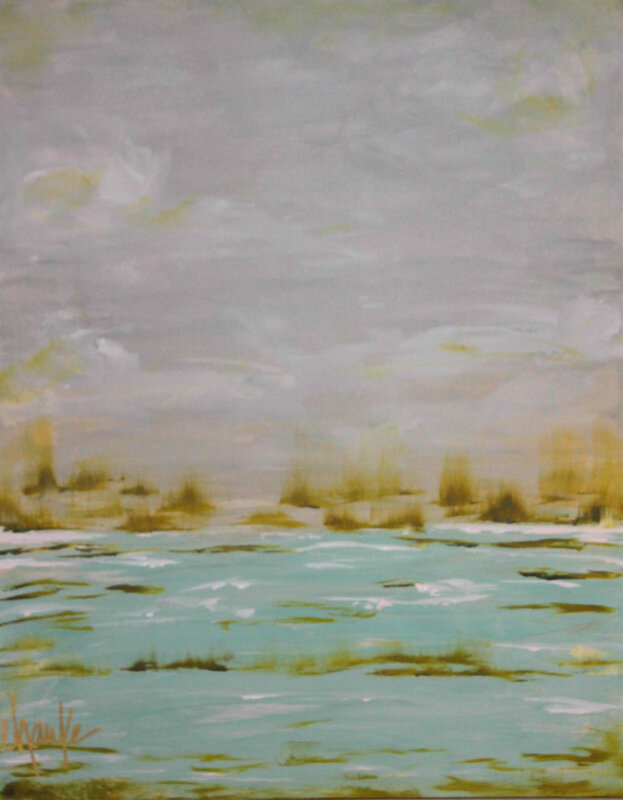 We love its impressionist style and soothing color palette. SOLD. 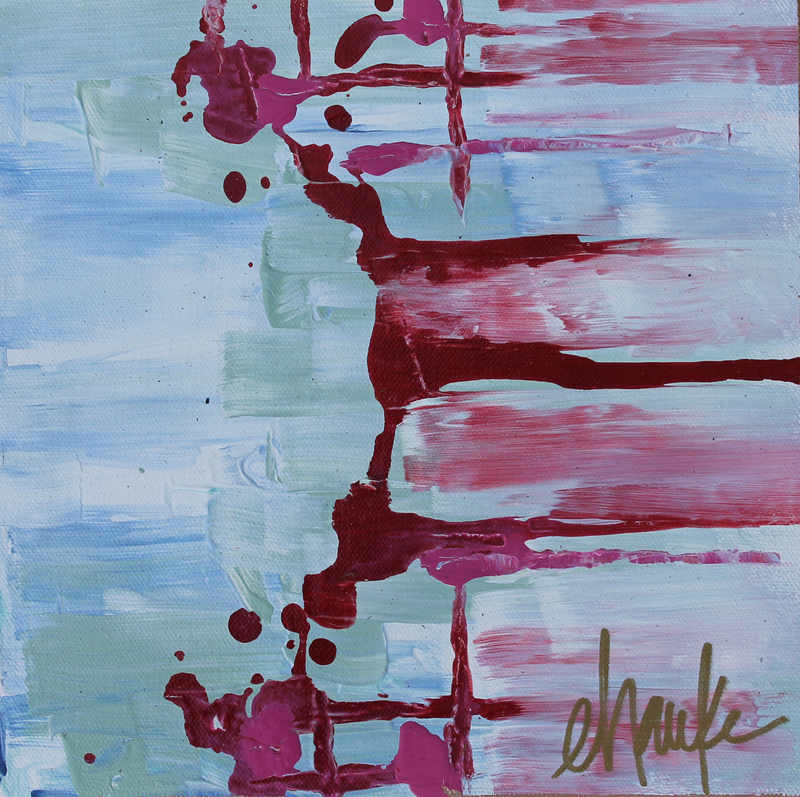 “Linear View”- 10″x10″ Acrylic on Gallery Wrapped Canvas. Sides are coated in Gold Leaf. UV Protective Coating. SOLD. “Hollow Points” . Acrylic and on Canvas, UV Protective Coating. On display at Montgomery’s Parish Shoppe. “Whispers” . Acrylic and on Gallery Wrapped Canvas, UV Protective Coating. On display at Montgomery’s Parish Shoppe. SOLD. 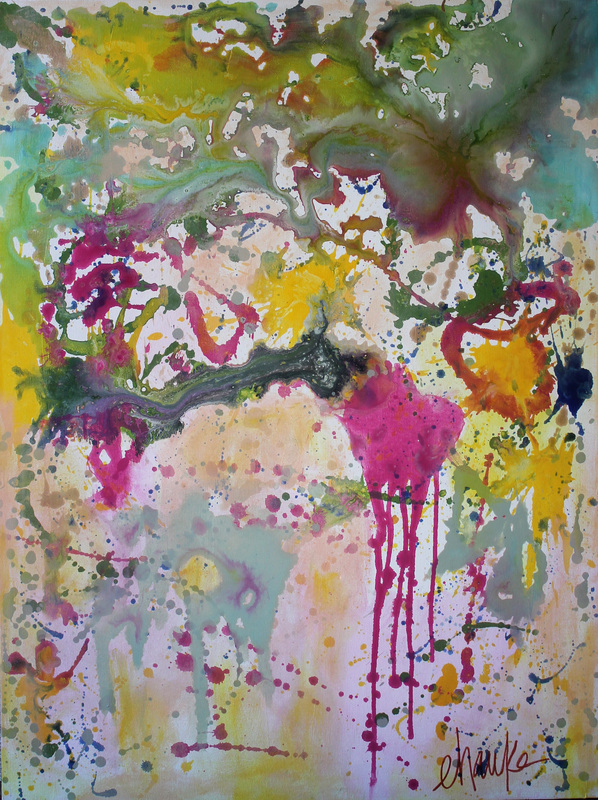 “Garden Revisited II”. Acrylic and UV Protective Coating on Canvas. 24″ x 12″. $80.On display at the Parish Shoppe/ AL Power Show House. SOLD. Departed. 24 inches (h) x 24 inches x 0.5 inches (d). 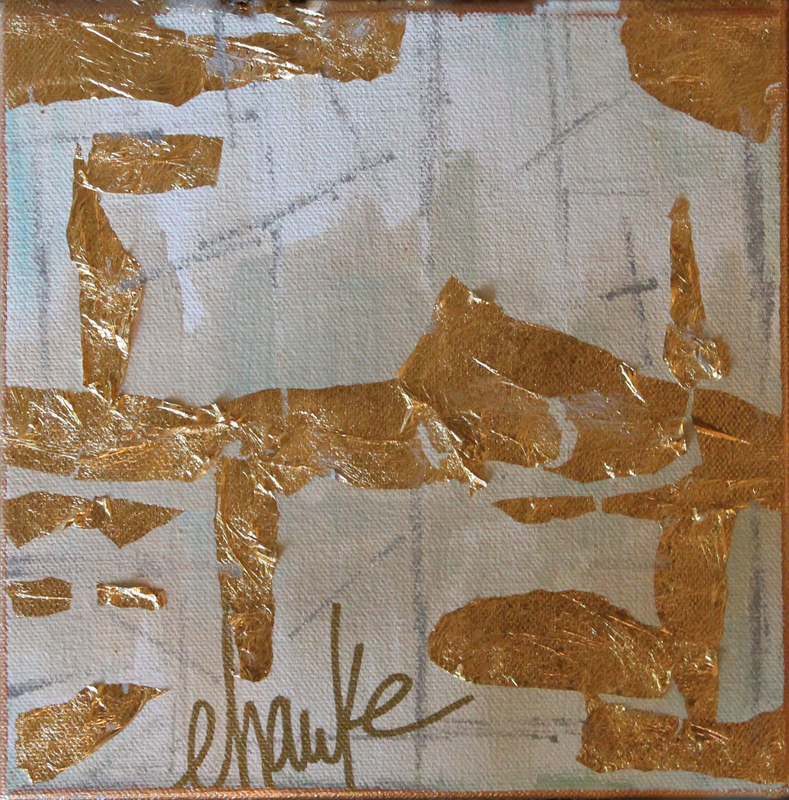 Acrylic and Gold Leaf Abstract. Standard Depth Canvas with edges coated in Gold Leaf. $300. SOLD. Golden Age II. 24 inches (h) x 24 inches x 1.5 inches (d). Acrylic and Gold Leaf Abstract. Deep edges of this Canvas are coated in Gold Leaf. High Gloss Resin Finish. $325. Showcased at Montgomery’s Painted Pink. SOLD. The Color Movement I and II. 24 inches by 48 inches each. Fabulous together or split up. Currently displayed in Bookcases. $1,000 for the pair. Sold finished, in gold Floater Frames. Contact for more images. Enter your email address to follow OneBirdsNest and receive notifications of new posts by email.